Bedroom Wall, a photo by Let It Be Raw on Flickr. 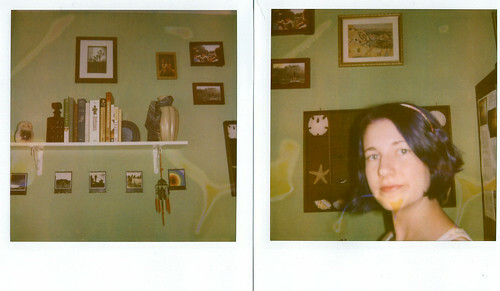 These are my two last Polaroids that I took a couple weeks ago. The film had been in the camera for possibly three years or more, so that explains the odd coloring and random markings. I don't know what I'm going to do with my old Polaroid camera now. It's useless but sentimental. Edit: Found a 07 expired 10 pack of Polaroid film. THAT will be my last pack.